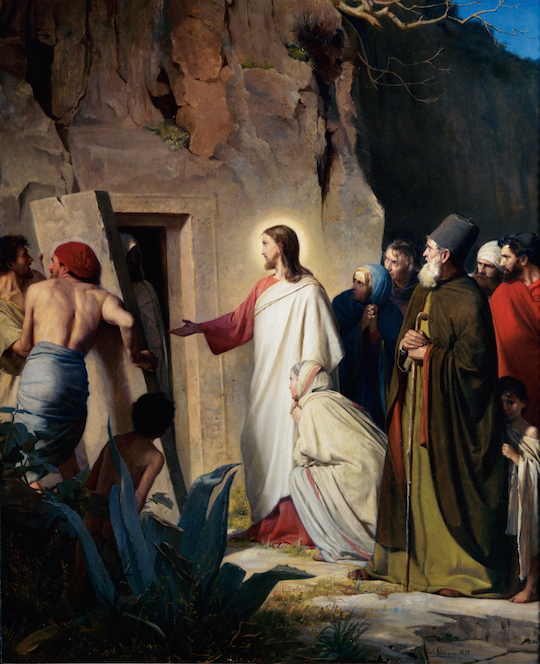 The story of Lazarus, found in John 11, is simple. 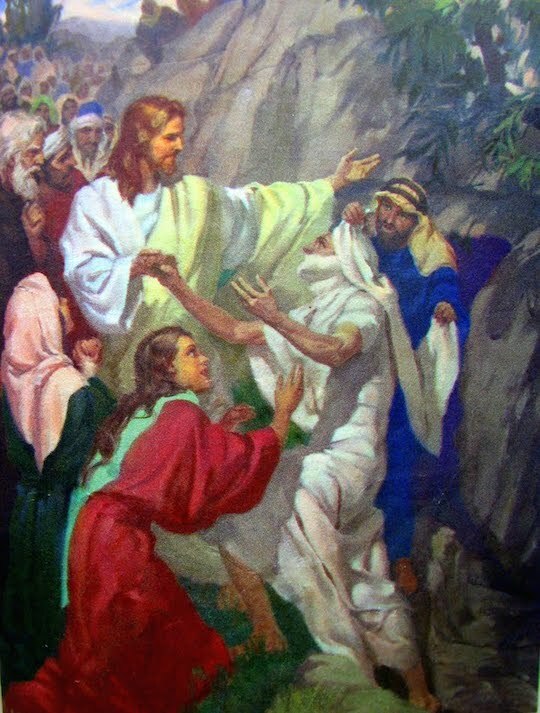 Lazarus was a friend of Jesus. Lazarus died. 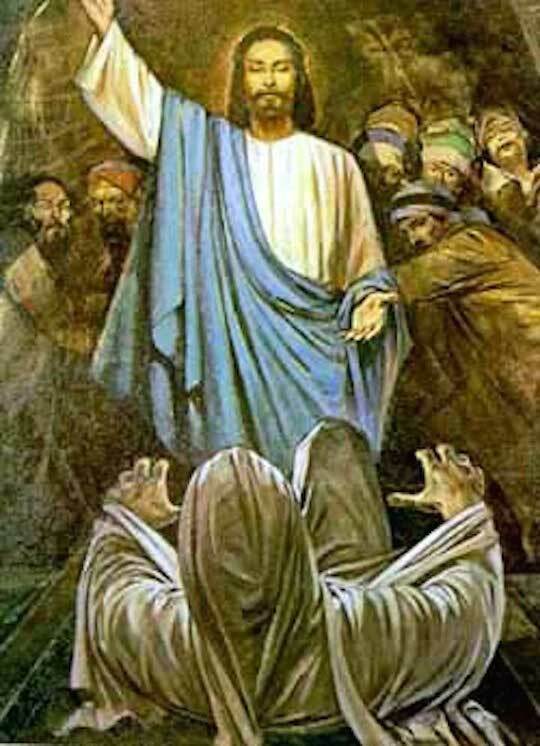 Jesus brought him back to life. 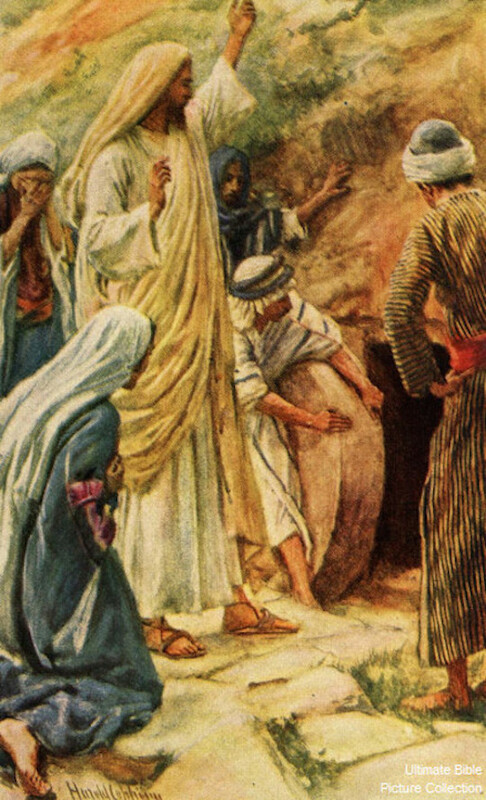 41 Then they took away the stone from the place where the dead was laid. 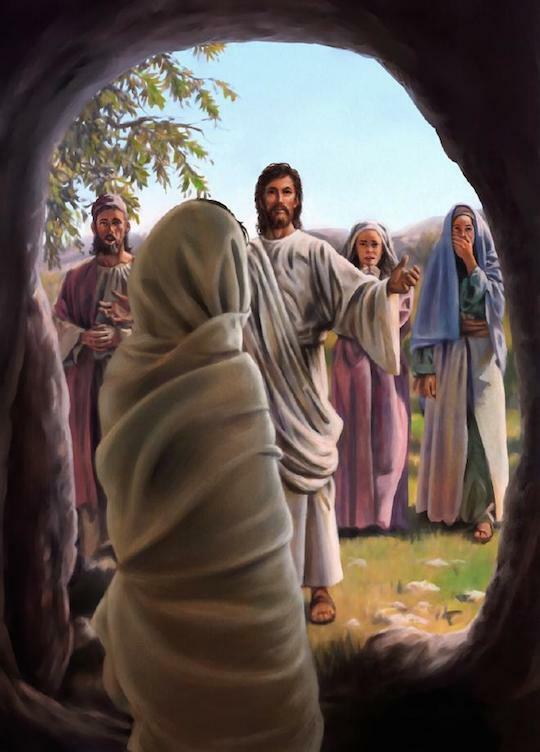 And Jesus lifted up his eyes and said, Father, I thank thee that thou hast heard me. 42 And I knew that thou hearest me always: but because of the people which stand by I said it, that they may believe that thou hast sent me. 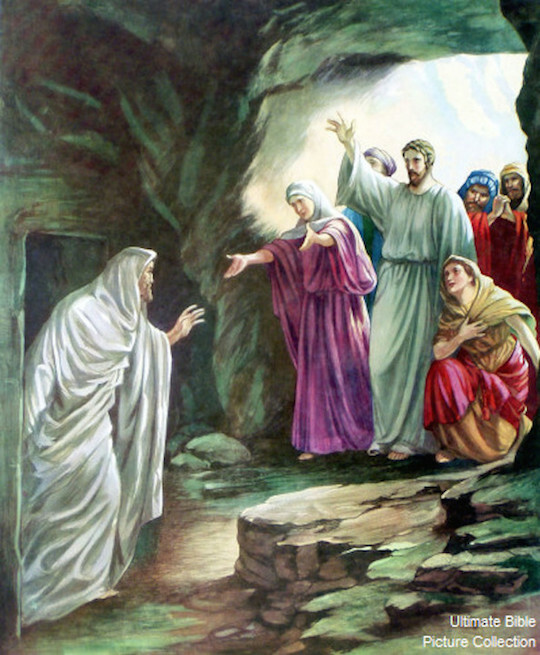 43 And when he thus had spoken, he cried with a loud voice, Lazarus come forth. 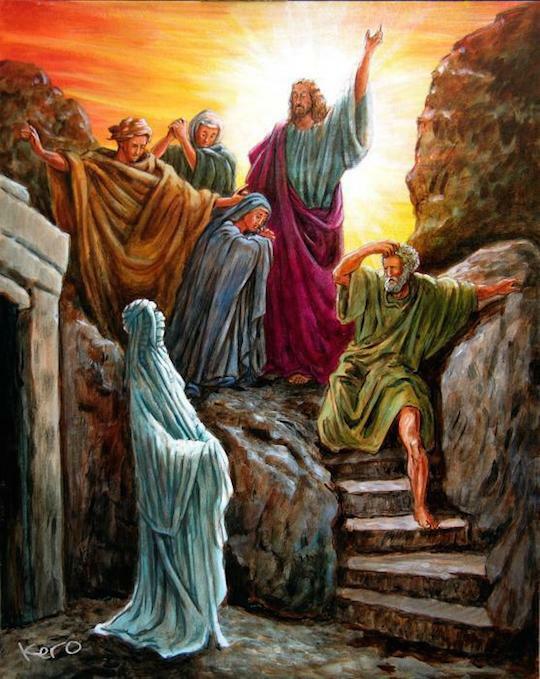 44 And he that was dead came forth, bound hand and foot with graveclothes: and his face was bound about with a napkin. 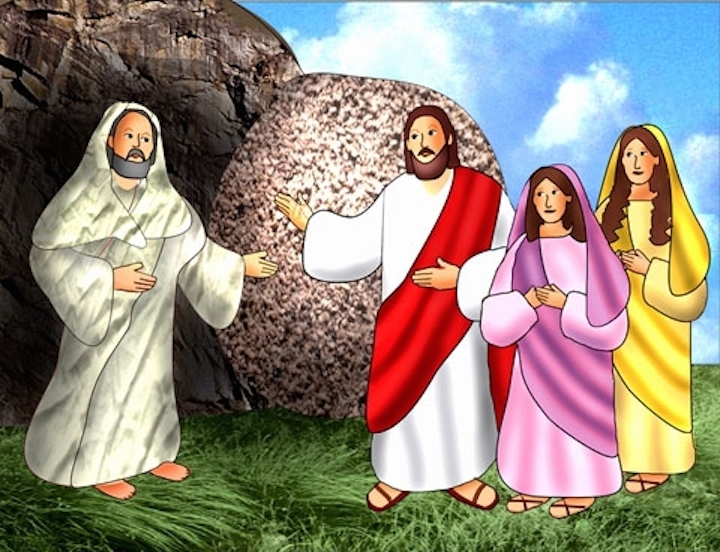 Jesus saith unto them, Loose him, and let him go. 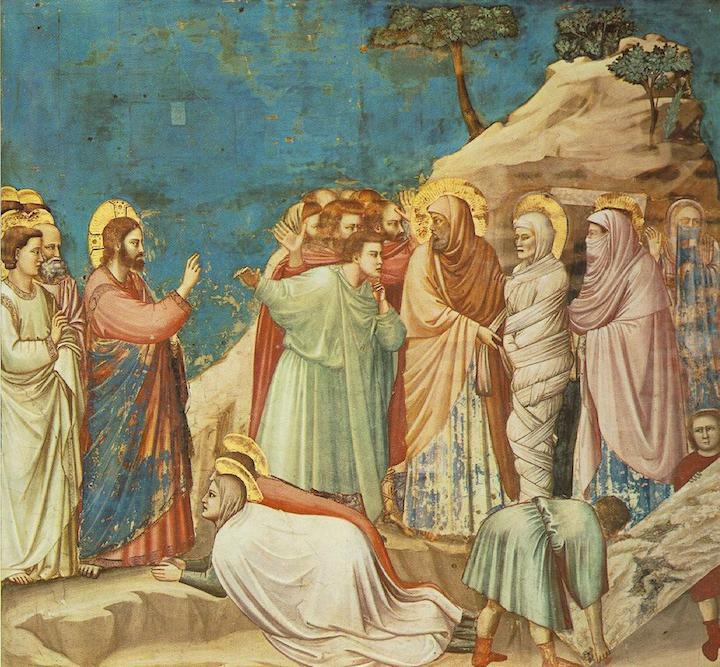 The story has inspired painters for centuries. Here are a handful of the many paintings. 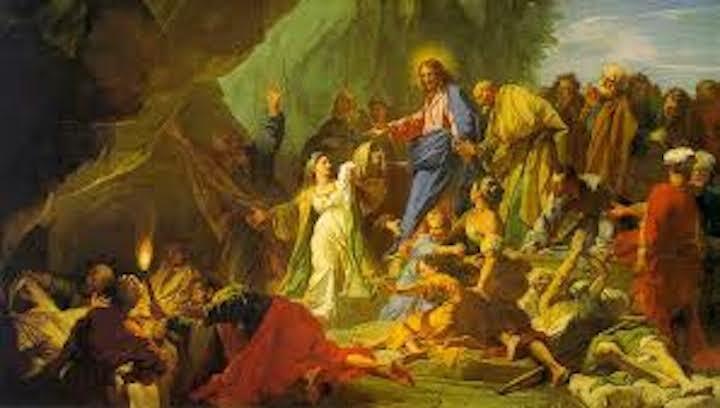 The cultural biases and assumptions conveyed by paintings depicting Bible scenes never ceases to fascinate me. My friend is much better read than you might assume when you first meet him. For example, he read Jorge Amado – first in English, and then in the original Portuguese. To follow Amado, my friend read and talked with Brazilians about Santeria. 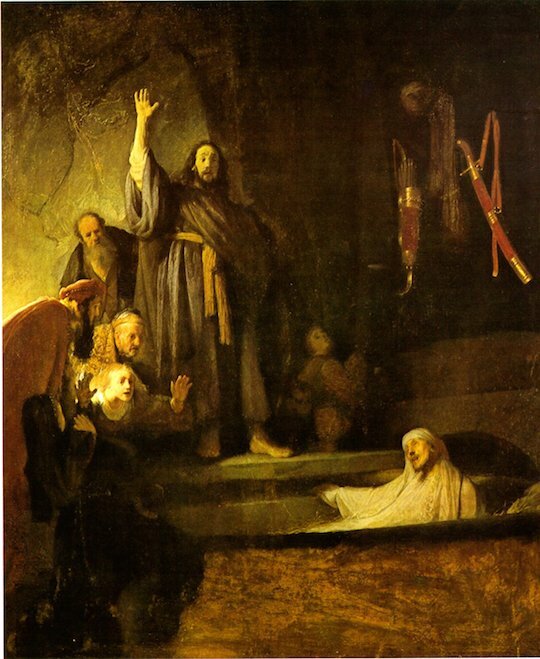 I was thus not completely surprised when he looked up after going through the Lazarus photos and told me that Lazarus – the conflated Lazarus of Bethany who rose from the dead and Lazarus the beggar – appears as the Yoruba deity Babaly Aye. 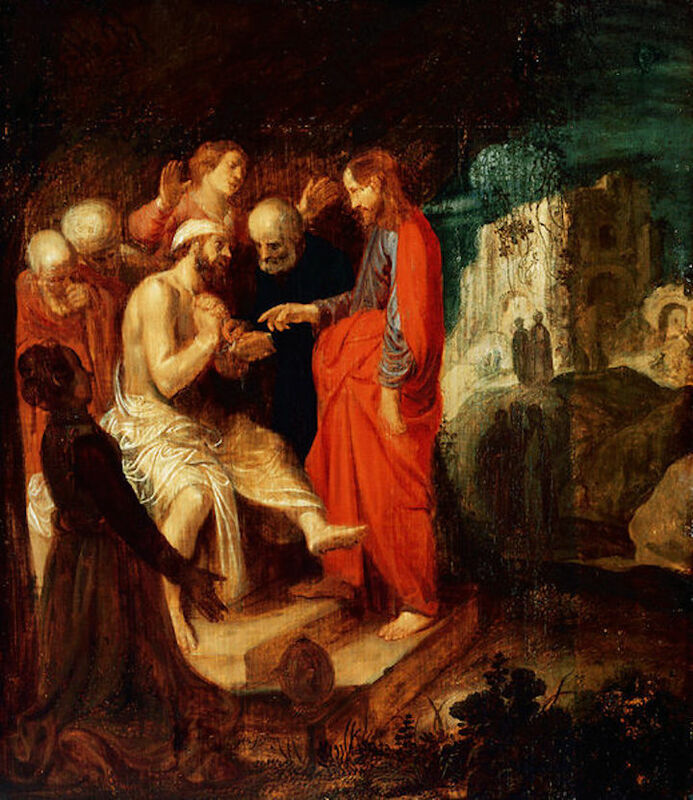 He is covered with sores that are licked by dogs, but is then healed through heavenly intervention. 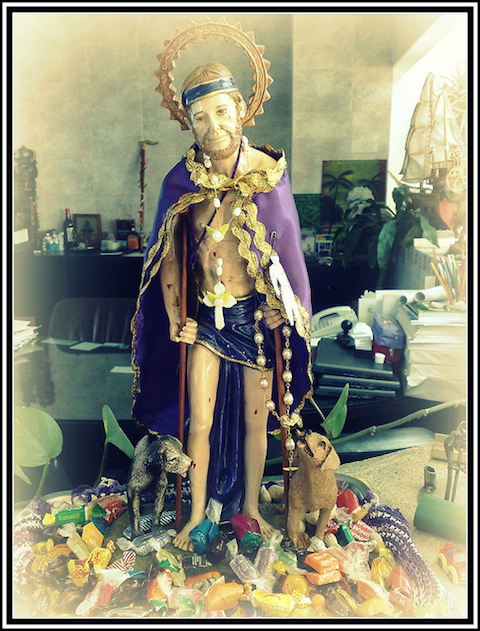 His Santeria feast day is December 17th. 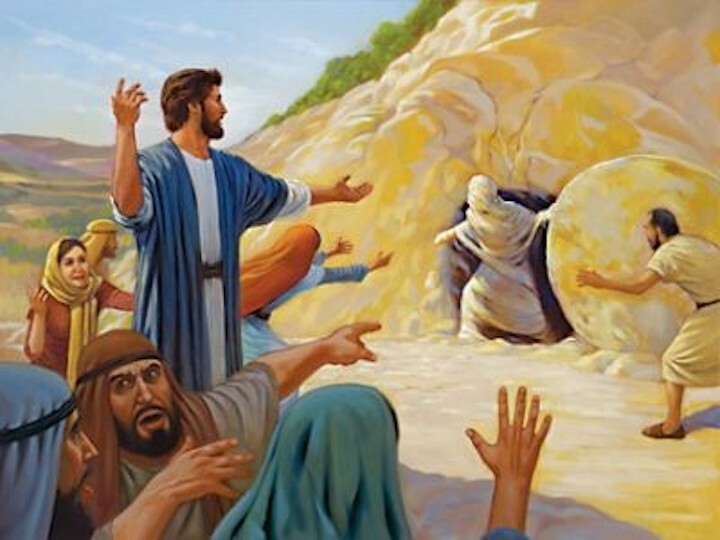 I always enjoy my friend’s digressions, but steered him back to the various depictions of Lazarus. What did he think of them?